Are you interested in computer vision and image processing, but don't know where to start? My new book is your guaranteed quick start guide to learning the fundamentals of computer vision and image processing using Python and OpenCV. Convinced? Jump straight to the bundles. "Your teaching method rocks. Hands down." — Giridhur S.
Inside Practical Python and OpenCV + Case Studies you'll learn the basics of computer vision and OpenCV, working your way up to more advanced topics such as face detection, object tracking in video, and handwriting recognition, all with lots of examples, code, and detailed walkthroughs. Before you do anything else, take a look at the video to your left to see how my 275+ page book, 16 video tutorials covering 4+ hours of lessons, and downloadable Ubuntu virtual machine (that comes with OpenCV pre-installed) can turn you into an OpenCV ninja, guaranteed. Curious about computer vision? Let me help. I wrote this book for you — for developers, programmers, and students who are interested in computer vision and image processing, but still need to learn the basics. This book covers the fundamentals with tons of code examples that allow you to get your hands dirty, quickly and easily. Whether you are are a seasoned developer looking to learn more about computer vision, or a student at a university preparing for research in the computer vision field, this book is for you. 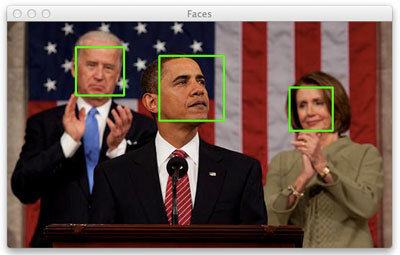 Learn how to detect faces in images and video. By far, the most requested tutorial of all time on this blog has been "How do I find faces in images?" If you're interested in face detection and finding faces in images and video, then this book is for you. We'll start Case Studies by talking to my old dorm buddy, Jeremy, a college student interested in computer vision. Instead of spending his time studying for his Algorithms final exam, he instead becomes entranced by computer vision. Jeremy applies face detection to both pictures and videos, and while his final grade in Algorithms is in jeopardy, at least he learns a lot about computer vision. Explore object tracking in video. A few months ago I taught a developer the basics of object tracking...he then went on to build surveillance systems to track people in video. Curious how he learned so fast? The secrets are in my book. We'll then chat with Laura, who works at Initech (after it burned to the ground, allegedly over a red Swingline stapler) updating bank software. She's not very challenged at her job and she spends her night sipping Pinot Grigio, watching CSI re-runs. Sick of her job at Initech, Laura studies up on computer vision and learns how to track objects in video. Ultimately, she's able to leave her job at Initech and join their rival, Initrode, and build software used to track eye movements in cameras. Become a pro at handwriting recognition with HOG. You've probably seen handwriting recognition software before, whether on your tablet or your iPad. But how do they do it? I'll show you. And then you'll know the secret for yourself. Next up, we'll stop by Hank's office. Hank and his team of programmers are consulting with the Louisiana post office, where they are tasked with building a system to accurately classify the zip codes on envelopes. Unfortunately, Hank underbid on the job and he's currently extremely stressed that the project will not be complete on time. If the job isn't done on time, profits will suffer and he might lose his job! Luckily, Hank remembers back to a machine learning course he took during his masters program. He is able to utilize Histogram of Oriented Gradients and a Linear Support Vector Machine to classify handwriting...and save his job. 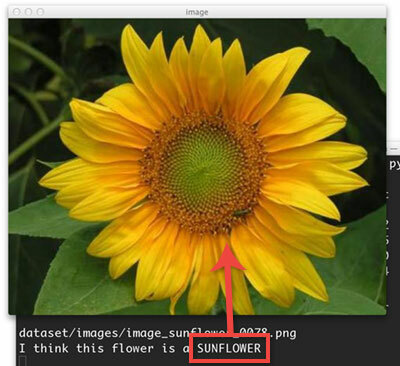 Master machine learning by classifying flower species. Interested in classifying an image based on its content? I've got you covered. I'll show you how to use color histograms and a Random Forest Classifier to classify the species of flowers. After reading this chapter, you'll be a pro at image classification! Let me tell you about my friend Charles. He works for The New York Museum of Natural History in the Botany department. One of Charles' jobs is to classify the species of flowers in photographs. It's extremely time consuming and tedious, but the museum pays handsomely for it. Charles decides to create a system to automatically classify the species of flowers using computer vision and machine learning techniques. This approach will save him a bunch of time and allow him to get back to his research, instead of mindlessly classifying flower species. Create the next startup by building an Amazon.com book cover search. There's no doubt that the next big startup is going to involve computer vision. Using the techniques in this chapter, you just might be able to launch the next big thing...and make a ton of money. Finally, we'll head to San Francisco to meet Gregory, the hotshot entrepreneur who is working with his co-founder to create a competitor to Amazon's Flow. Flow allows users to use the camera on their smartphones as a digital shopping device. 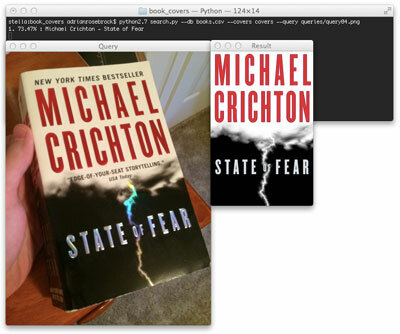 By simply taking a picture of a cover of a book, DVD, or video game, Flow automatically identifies the product and adds it to the user's shopping cart. Three weeks ago, Gregory and I went to a local bar to have a couple beers. I guess he had one too many, because guess what? He clued me in on his secrets. He begged me not to tell...but I couldn't resist. Use your Raspberry Pi to build awesome computer vision projects. 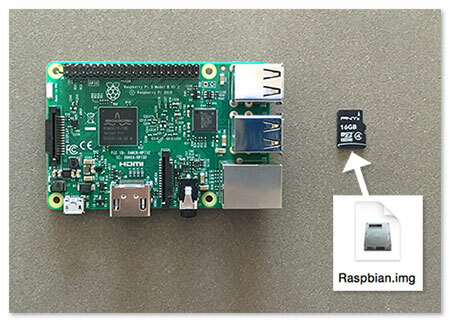 Do you want to use your Raspberry Pi to detect faces in images, track objects in video, or recognize handwriting? No problem! All source code examples for both Practical Python and OpenCV + Case Studies are guaranteed to run on the Raspberry Pi 2, Pi 3, and Pi Zero W right out of the box. No code modifications required! 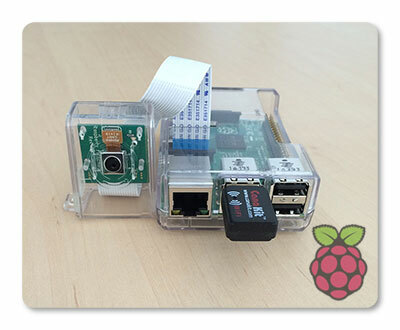 Do you own a Raspberry Pi? Do you want to leverage it to build awesome computer vision apps? No problem, I've got you covered! Both Practical Python and OpenCV + Case Studies include Python and OpenCV source code examples that are guaranteed to run on your Raspberry Pi 2, Pi 3, and Pi Zero W right out of the box. Not sold yet? Get a free sample chapter! Imagine having me at your side, helping you learn computer vision and OpenCV — that's exactly what it's like when you work through my 16 video tutorials covering 4+ hours of lessons. Together, we'll walk through each line of code as I detail my thought process and rational to how I'm solving each computer vision project. Plus, these videos contain tips & tricks I don't cover in the books! Let's face it. Reading tutorials from a book isn't always the best way to learn a new programming language or library. I've often found that it's much easier for me to learn a new skill if I can actually watch someone doing it first — and I'm sure you're the same way. That's exactly why I have put together 16 videos covering over 4+ hours of lessons from Practical Python and OpenCV. If you're the type of person that learns by watching, then you'll want to grab these videos — they are a fantastic asset to help you learn OpenCV and computer vision. Don't waste time installing packages...invest your time learning. No need to configure your development environment and waste time installing packages. Just download my pre-configured Ubuntu Virtual Machine (guaranteed to run on OSX, Linux, & Windows) and start learning. I recognize the fact that setting up your development environment isn't the most fun thing in the world — not to mention that it's also quite time consuming! In order to get you learning as fast as possible, I have created a downloadable Ubuntu VirtualBox virtual machine that has all the computer vision and image processing libraries you will need pre-installed. OpenCV + Raspbian: Pre-configured and pre-installed. Download the .img, flash it to your SD card, and enjoy OpenCV + Python pre-baked on your Raspberry Pi 2, Raspberry Pi 3, and Raspberry Pi Zero W.
To make it as easy as possible for you to learn the basics of computer vision and image processing I have released my own personal Raspbian .img file with OpenCV pre-installed. This is the exact Raspbian image I use for my own projects and is compatible with the Raspberry Pi 2, Raspberry Pi 3, and Raspberry Pi Zero W.
If you're looking to get your Raspberry Pi up and running with OpenCV + Python, this is by far the easiest method. 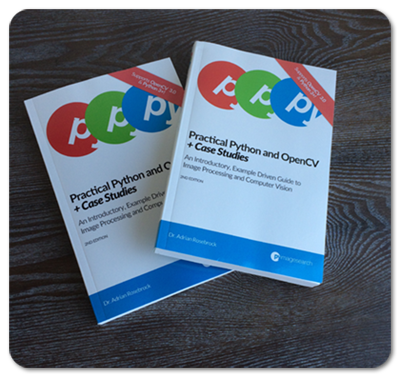 Hardcopies of Practical Python and OpenCV + Case Studies — now available! This is your exclusive hardcopy edition of Practical Python and OpenCV + Case Studies. Hot off the press, this hardcopy book is 275 pages of the most comprehensive guide to learning computer vision and OpenCV that you can get. It's yours, shipped anywhere in the world for free. There is just something about a hardcopy of a book that can't be beat. The feel of the book in your hands. The crisp sound as pages turn. And not to mention, it looks beautiful on your bookshelf as well! I've wanted to offer Practical Python and OpenCV + Case Studies in print ever since I finished up the first version of the book over a year ago, but I struggled to find a publisher. That's all changed now, the hardcopy editions are ready to go! If you like the feeling of having a book in your hands, then the hardcopy edition is a must have. Claim your access to the exclusive companion website. Let's be realistic — there's only so much content that I can fit into a book...and that's exactly why I've created the Practical Python and OpenCV companion website. This companion website is the ultimate guide to making the most out of the material in my book and the PyImageSearch blog. Access to additional resources and guides to continue your computer vision + OpenCV education. 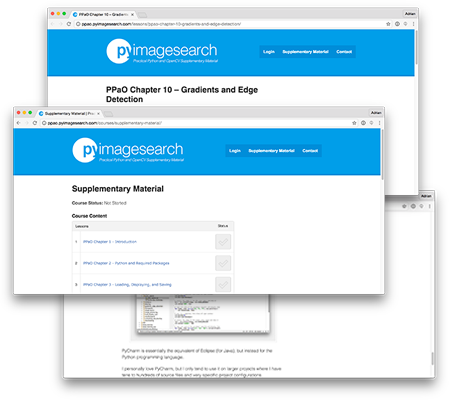 End of chapter discussions that cross-reference relevant PyImageSearch blog posts, allowing to build a strong computer vision and OpenCV foundation quickly and effectively. Quizzes to test your knowledge — the best way to learn computer vision is to learn by doing, and that's exactly what these quizzes will allow you to do. That perfect first step if you are interested in computer vision but don't know where to start...You'll be glued to your workstation as you try out just one more example. ...invest your time learning and jump start your computer vision education. In order to get you learning as fast as possible, I have created a downloadable VirtualBox virtual machine that has all the computer vision and image processing libraries you will need pre-installed. This book is a great starting point for people looking to get started with computer vision. It will walks you through the most important functions in OpenCV that you'll need for any serious computer vision project. Practical Python and OpenCV is a non-intimidating introduction to basic image processing tasks in Python. While reading the book, it feels as if Adrian is right next to you, helping you understand the many code examples without getting lost in mathematical details. Enjoy a 100% money back guarantee. After reading my book, if you haven't learned the basics of computer vision and image processing, then I don't want your money. That's why I offer a 100% Money Back Guarantee. Simply send me an email and ask for a refund, up to 30 days after your purchase. With all the copies I've sold, I count the number of refunds on one hand. My readers are satisfied and I'm sure you will be too. Writing Practical Python and OpenCV + Case Studies is where I spent the most time and effort. The code listings, easy to follow explanations, and practical advice and tips are critical to learning the foundations of image processing and computer vision. And while the video tutorials, virtual machine, and hardcopy edition of the book are great to jumpstart your computer vision education, let's not overlook the eBooks themselves. You will still be getting 275+ pages of the best introduction to computer vision and image processing you can possibly get. So, if budget is an issue, then I highly recommend getting the Basic Bundle. You won't regret it and you'll always be able to upgrade your bundle if you want. Are you ready to learn computer vision and image processing right now? Then honestly, don't waste your time configuring and installing packages. Choose this option and you'll receive BOTH the Practical Python and OpenCV + Case Studies eBooks, PLUS a downloadable Ubuntu VirtualBox virtual machine that comes with all your computer vision and image processing libraries pre-installed. You'll also receive 9 videos with over 2+ hours of tutorials from the books along with my Raspbian .img file that ships with OpenCV pre-installed. This option is seriously the quickstart method! By purchasing this package you'll be able to dive head first into the world of computer vision and follow along with each and every example in these books within minutes of your purchase. My personal Raspbian .img file pre-baked with Python + OpenCV already installed. There is just something about the hardcopy edition of the book that can't be beat. The feel of the book in your hands. The crisp sound as the pages turn. And not to mention, it looks beautiful on your bookshelf. This bundle is the complete package. When you purchase this collection you'll receive the digital eBooks, the hardcopy edition, mailed to your doorstep, the downloadable Ubuntu VirtualBox virtual machine so you can start learning OpenCV instantly, my pre-configured Raspbian .img, and 16 videos covering over 4+ hours of tutorials from the books. If you're serious about learning computer vision and OpenCV, there is no doubt in my mind that this is the best bundle for you. I can guarantee you that Case Studies and Practical Python and OpenCV are the best books to teach you OpenCV and Python right now. First of all, thank you for the book. I find it really valuable and helpful. It gave me a good grasp on my path to learning computer vision/image processing. Now I have a good starting point to continue learning, exploring, and how to apply the OpenCV library in my new ideas. 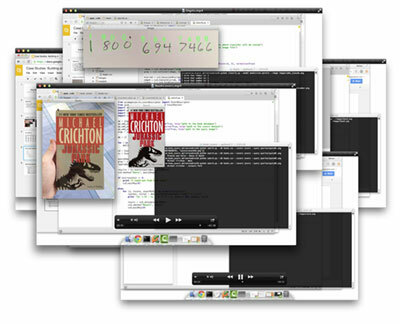 Practical Python and OpenCV is an easy read and step by step approach, smarter than any reference manual I have read. I was lost for a couple of months until I ran into the books Practical Python and OpenCV and Case Studies. From that moment, I was able to face my university final project with utter confidence. Adrian's writing style is clear, straightforward, and very easy to understand, but also very close and entertaining. I'm happy I found it. You've gone through the books, but still have a few followup questions? Want to go straight to the source? Select this option and I'll hop on a 1-on-1 call with you and your team. 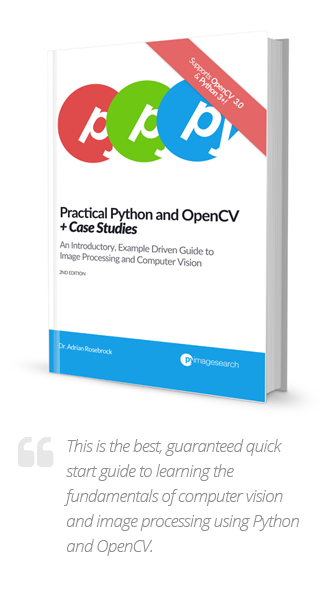 Practical Python and OpenCV + Case Studies are great to get your entire development or research team up to speed with Python and OpenCV. Since you care as much about copyright as I do, I have a team license that allows you to share the books + virtual machine with up to 10 members of your team. No, there isn't any DRM involved — just trust. You'll also receive 5 hardcopy editions that you can distribute to members of your team. You have specific questions about a computer vision problem you are trying to solve — and I’m here to help. I'll answer your questions and get you and your team instantly on track. This mostly depends on your budget. Obviously the Hardcopy Bundle is the best since you get the complete package, but the eBooks themselves are still 275+ pages of the best computer vision, image processing, and OpenCV guides and tutorials you can find. Well, hate is a strong word...but if you honestly hate this book and feel like you haven't learned the basics of computer vision, then I don't want your money. Just reply to your purchase receipt email within 30 days and I'll refund your purchase. First of all, Python is awesome. 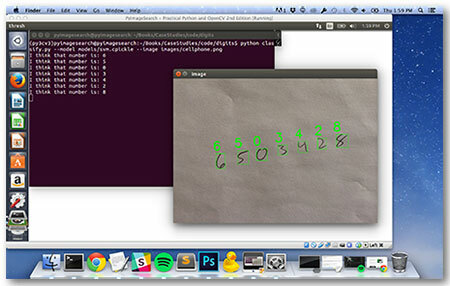 Secondly, Python is the best way to learn the basics of computer vision. The simple, intuitive syntax allows you to focus on learning the basics of computer vision, rather than spending hours fixing crazy compiler errors in C/C++. Practical Python and OpenCV is your best, guaranteed quick-start guide to learning the basics of computer vision and image processing. Whether you're new to the world of computer vision or already know a thing or two, this book can teach you the basics in a single weekend. I guarantee it. Can you really teach me computer vision in a single weekend? Yes, I absolutely guarantee it. 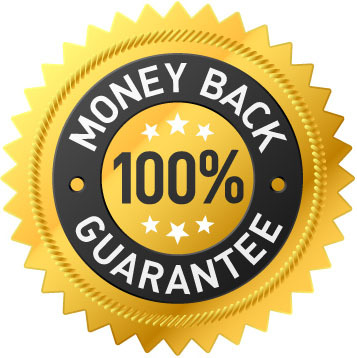 In fact, I'm so confident that I'm offering a 100% money back guarantee on it. What if I'm beginner at computer vision? This book is designed for you. 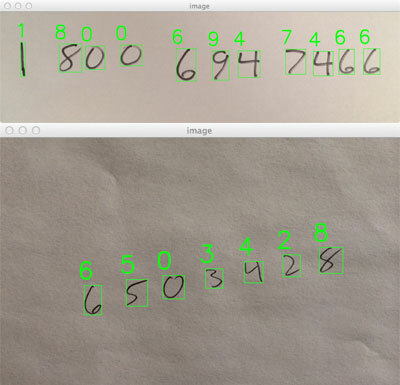 It gives you the very basics of computer vision and image processing using Python and OpenCV. This book is tremendously example driven and is as hands-on as possible. With me as a coach by your side, you'll learn by getting your hands dirty. It's the best way to learn! What versions of Python + OpenCV are used? 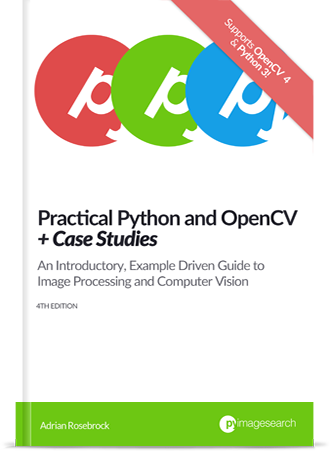 The 4th edition of Practical Python and OpenCV + Case Studies covers Python2.7+, Python 3+, along with OpenCV 3 and OpenCV 4. The 1st edition of the book (also included in the download of all bundles) covers Python 2.7 and OpenCV 2.4.X. Are OpenCV 3 and OpenCV 4 covered? You bet they are! All source code listings will run out of the box with OpenCV 3 and OpenCV 4. Backwards compatability with OpenCV 2.4 is also included. OpenCV isn't like other Python packages. You can't let pip and easy_install do the heavy lifting for you. You need to download it, configure it, and compile it. It's a real time sink. In order to save you a bunch of time and hassle, I've created a downloadable Ubuntu VirtualBox virtual machine with all the necessary computer packages you need pre-installed. Check out the Quickstart Bundle above. I have boiled down computer vision and image processing to the core topics without all the fluff. If you can give me less an hour a night, I can teach you the basics of computer vision using Python and OpenCV in no time. Think of it this way. Most computer vision textbooks cost well over $200. And they don't even include 4+ hours of video tutorials or a downloadable, pre-configured Ubuntu virtual machine with all your computer vision libraries pre-installed! For less than the third of a cost of used textbook, you could be learning the basics of computer vision and image processing this weekend. Can I purchase just a hardcopy of the book by itself? The hardcopy edition of Practical Python and OpenCV + Case Studies is only offered in the Hardcopy Bundle. As a self-published author, it's not cheap to have copies of the books printed — I also manually fulfill all orders myself. In order to make the hardcopies feasible, I need to charge a little extra and provide a ton of added value through the virtual machine and video tutorials. Is shipping included in the price of the Hardcopy Bundle? Yes, shipping is already included in the price of the Hardcopy Bundle. I ship to all countries. If you have a particular concern about shipping, please contact me. I have written a ton of blog posts about computer vision and image processing over at PyImageSearch. Definitely check out the posts to get a good feel for my teaching and writing style. I also suggest that you grab the sample chapter I am offering using the form above. If you have any other questions, please send me a message and I’ll get back to you immediately. 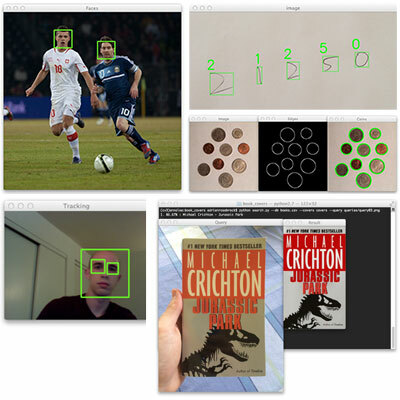 Become a pro at OpenCV and Python. Let me teach you. Hey, I'm Adrian Rosebrock, an entrepreneur and Ph.D who has spent the last eight years studying computer vision, machine learning, and image search engines. 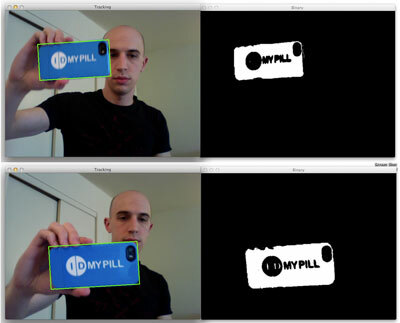 I've launched two successful image search engines, ID My Pill, and Chic Engine. I've even consulted with the National Cancer Institute to develop image processing and machine learning algorithms to automatically analyze breast histology images for cancer risk factors. It's safe to say that I have a ton of experience in the computer vision world and know my way around a Python shell and image processing libraries. I'm here to distill all my years of experience into bite size, easy to understand chunks, while sharing the tips, tricks, and hacks I've learned along the way. If you are interested in computer vision and image processing but don't know where to start, then this book is definitely for you. It's the best, guaranteed quick start guide to learning the fundamentals of computer vision and image processing using Python and OpenCV.